Apologies for the tardiness of this post, I’ve been pretty flat out trying to catch up with work and travel these last few weeks! 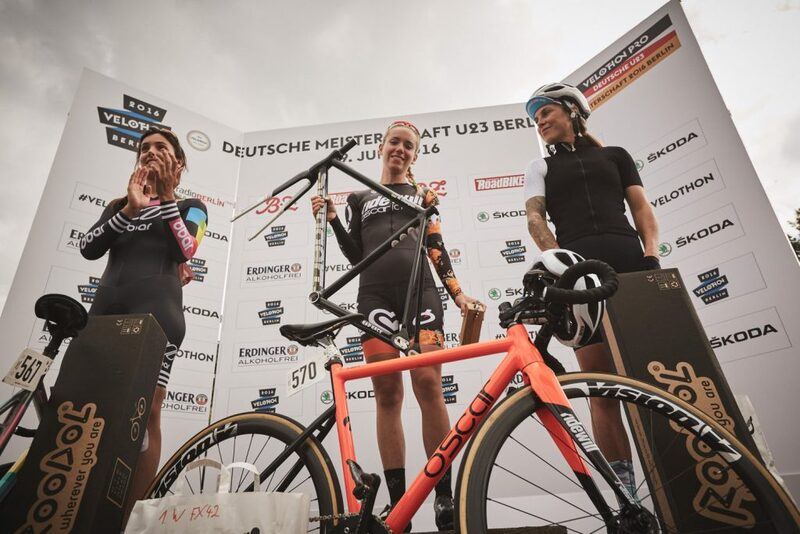 In the middle of June, the ‘Fixed 42‘ Fixed Gear World Championships took place in Berlin, the second time the event has been held by the German ‘Rad Race’ organisers. 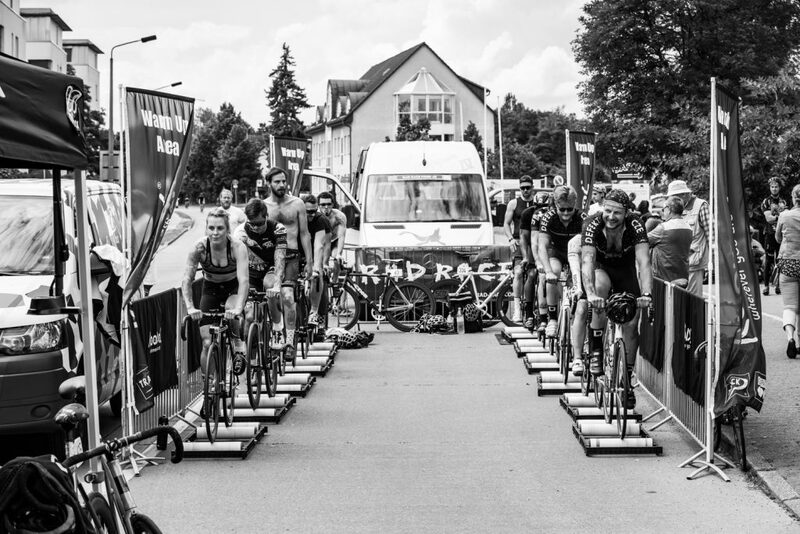 The race took place over the weekend of the Velothon, a huge event in Germany’s capital that sees roads closed to traffic with two sportives (60km for beginners or 120 km for the more experienced) and a UCI sanctioned race for the pros. 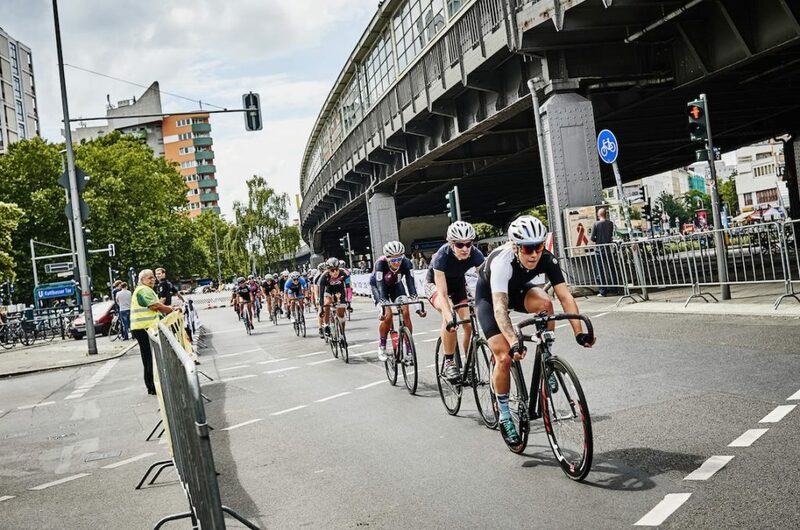 I was in Berlin to compete in the fixed gear race, which started outside the city in a small town called Ludwigsfelde before racing along the (closed) autobahn and finishing with the same city centre circuit as the UCI race. I had little idea of how the race would pan out I’ve only ever raced fixed gear bikes in crits (short, multi lap circuit races) and never from point-to-point. 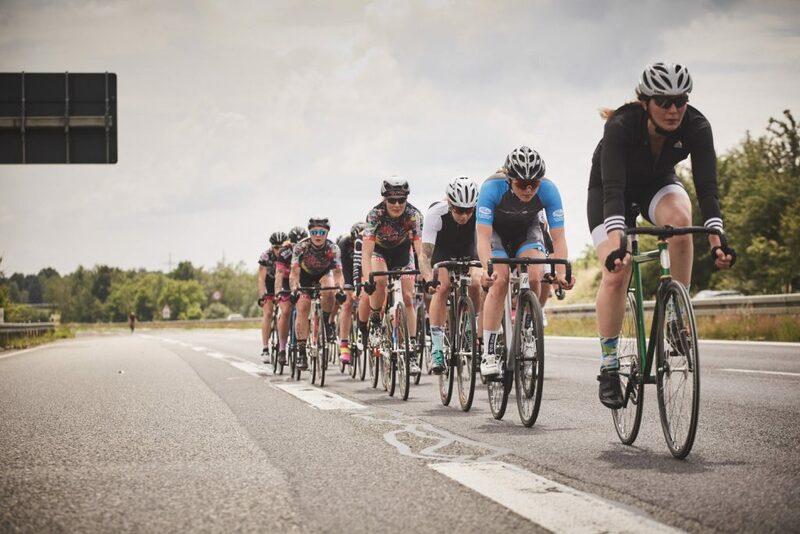 I’ve actually never entered this kind of road race on a geared bike either, because I really enjoy the short, sharp intensity of crit racing with its tight corners and demand for nifty bike handling. A road race is definitely on my to do list, but so are a lot of things, so anyway, back to Berlin. Me: My back is so screwed, I think I might just go to the race and then ride the course at my leisure… seeing as I’m here. Dave: You’re full of crap. If you line up on the start there’s no way you’ll just let everyone go and pootle along at the back. If you take your bike, you’ll race. So I took my bike and I raced. The experience of riding on the Autobahn was pretty unique but it was riding the streets of Berlin that I found really fun, riding past places I recognised such as the East Side Gallery and passing our hotel en route. Very few riders were willing to ride at (or even near) the front, which was their loss – the experience of leading the pack through the streets of Berlin was amazing! In the end, the race came down to a sprint for the line and I crossed the line in Second Place behind Jasmie Dotti and ahead of some very fast, strong ladies. So that was rather nice! My latest video explains a bit about my latest injury (sigh!) and why I wasn’t going to race and then a blow by blow account of the race with onboard GoPro footage and annotation. Enjoy! And if you like the video, please subscribe to my channel. Thanks for watching!